There are many reasons to love Moda, one of which is its versatility. Its functional design works well for all modern kids: toddlers, teens and everyone in-between. 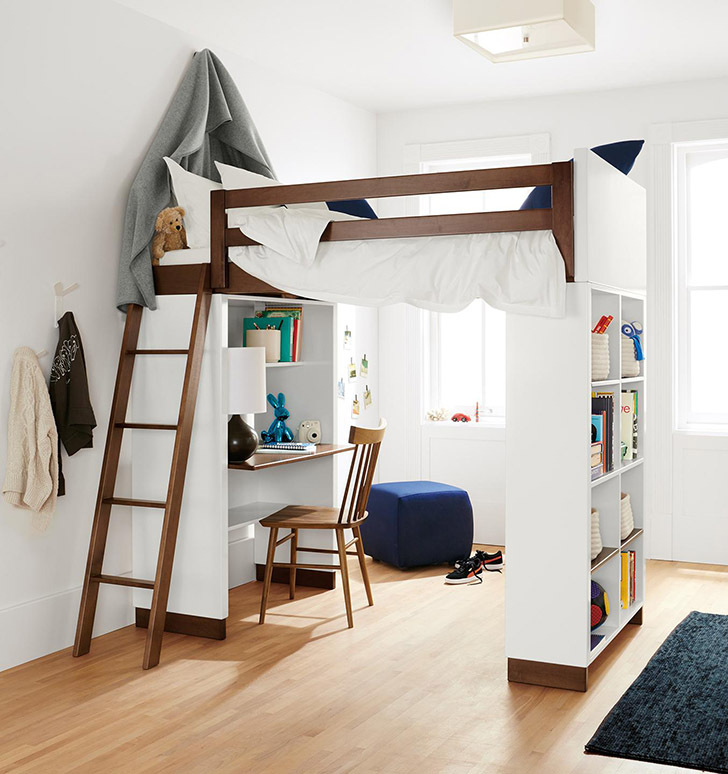 With pieces ranging from storage to bunks to lofts, this collection is available in a range of sizes, colors and configurations made to fit each stage of your child’s life. 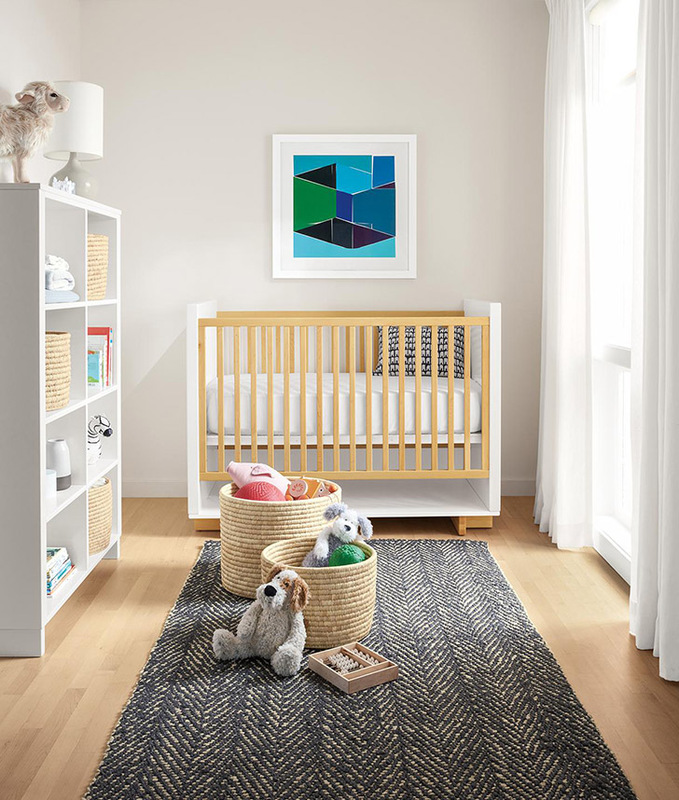 From cribs to dressers to changing tables, Moda offers the quality essentials you need to create a personalized and functional nursery. 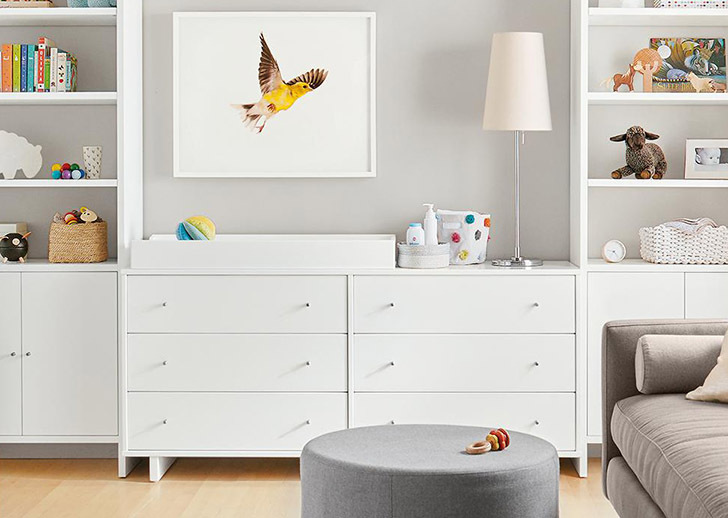 Toddlers can be messy, so why not give them furniture that’s both durable and multifunctional? 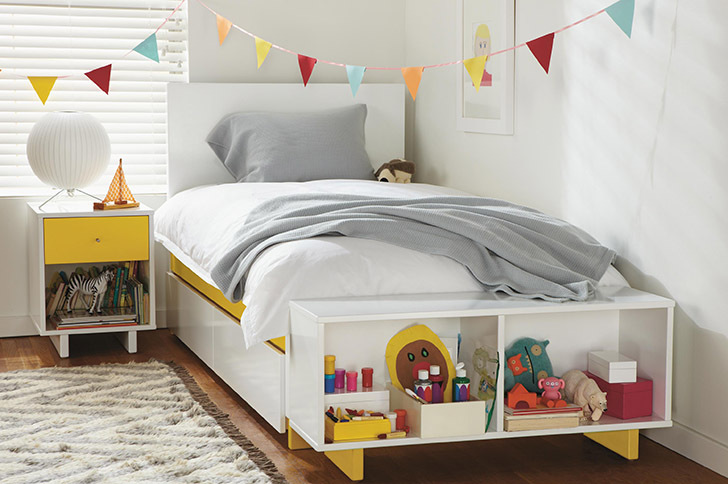 Our Moda bed with storage drawer and bench is perfect for storing toys, books and clothes. Plus, its non-toxic lacquer finish will keep it looking great for years to come. Make homework time a little less stressful by creating a personalized, inviting space for school work, projects and arts & crafts. 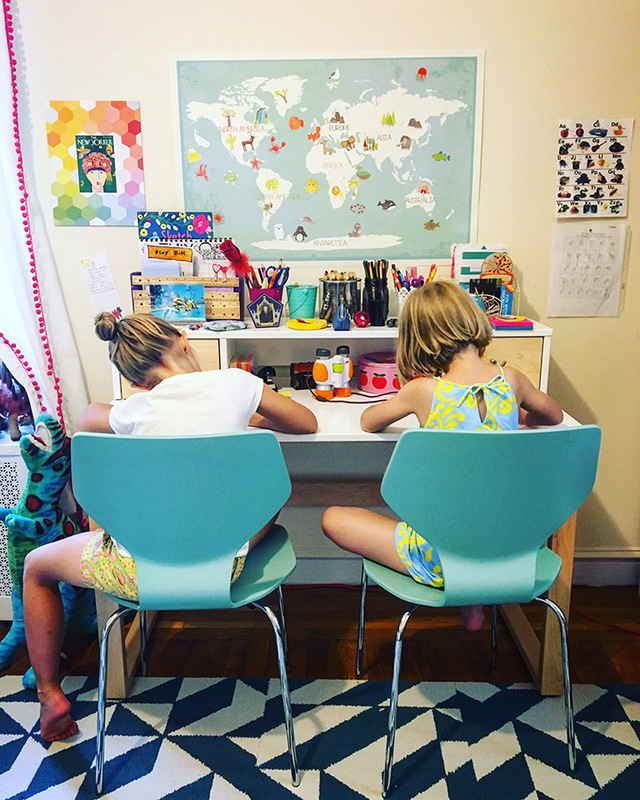 We loved how Ellen Schmidt of Baby Meets City created this dual work station for her girls — a clever solution for a shared bedroom in a small NYC apartment! Check out the full transformation on her blog. Shop our full Moda collection.